This is a rather historical map, it is in fact one of the earliest custom maps made for SMR. Hense why it is here despite its very primitive design, I assure you it was a marked improvment over the first few maps. 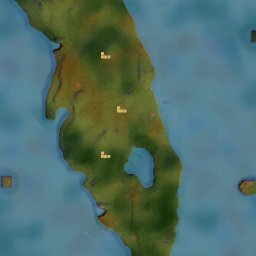 This was of course a ways before Firaxis released the map editor. Unfortunately, this map crashes my game every time I play it. Do you have any other maps installed? This will expain how to avoid crases!!!! I would like to play on-line with these maps. Bit like model railway on-line play, nothing competitive, anyone interested? Its actually the second map I made, and the 2nd or 3rd map released at the time. Ok good you do remember better than me. I knew it wasn’t the first but I thought there were more than one before it. Do you happen to have a copy of your very first map? It got lost in the forum in some mix-up early on but I would like to post it. Yeah its funny how long things can last if you’re not touching them. I think I still have essays from grade ten on one of my harddrives.